If you were injured in a motorcycle accident in Kansas City or elsewhere in Kansas or Missouri, the amount of available insurance often determines whether there is sufficient compensation or not for your injuries. Good insurance coverage can be the difference-maker not only for having an optimal medical recovery but also for avoiding the financial ruin that comes with massive medical bills and lost wages after a devastating injury. Like drivers of cars and other vehicles, motorcyclists are required to carry a minimum level of insurance under both Kansas and Missouri law. In fact, motorcyclists in both states are required to purchase the same amount of insurance as car owners despite the fact that motorcycle accidents pose a much greater risk for serious injuries. As we previously noted, motorcycle injuries on average are much more likely to be catastrophic than injuries from car accidents. These injuries can include serious burns or road rash, traumatic brain injuries and spinal cord injuries.The minimum amount of insurance required in Kansas and Missouri simply will not provide sufficient coverage for a serious motorcycle accident case. Below is a summary of what motorcycle insurance is required in Kansas and Missouri, why it’s not enough and what you must do to protect yourself and your family. In Kansas, motorcycle owners are required to purchase minimum amounts of personal injury protection (also known as “PIP”). As with PIP provisions in car insurance, the PIP provision of your motorcycle policy will reimburse you for medical expenses and other losses caused by the accident, regardless of whether you were at fault, up to the limits in the policy. Most injuries sustained from motorcycle accidents are very serious and can be catastrophic in nature. Medical expenses can easily exceed six figures, and the lifetime costs for care and recovery be much, much more. As a result, the minimum PIP coverage required by Kansas law is not sufficient coverage. Unlike Kansas, Missouri law does not require motorcyclists to purchase a “no-fault” coverage like PIP coverage in Kansas. In Missouri, you can add a provision to your policy that will pay for your medical expenses up to the limit noted in your policy, regardless whether you were at fault in an accident. This coverage is known as medical payments or “Med-pay” coverage in Missouri. You will need to pay a premium for this added protection, and depending on your injuries and the limit you purchased, Med-pay may not cover all your out-of-pocket costs. However, it can be helpful in covering some of your medical expenses. Liability insurance protects everyone except you. For example, if you ran a red light on your motorcycle and struck a pedestrian, your motorcycle liability insurance policy would pay for the injuries and damages sustained by the pedestrian up to the limits of your liability policy. However, assume facts changed, and a pick-up truck ran a red light and struck you on your motorcycle. Your liability insurance would not pay you anything for your medical bills or other damages. Instead, you must rely on the amount of liability insurance the pick-up driver had and any additional coverage you purchased, such as uninsured motorist (UM) or underinsured motorist (UIM) coverage. UM coverage will protect you if the pick-up truck driver had no insurance. If the pick-up driver had some but not enough insurance, UIM offers you additional coverage on top of the pick-up driver’s policy. For instance, if your medical bills and lost wages exceed $200,000 and the pick-up driver only carries the minimum insurance of $25,000 in liability coverage, your own UIM policy would kick in and help cover the difference up to the limit in the UIM coverage you purchased. However, remember that this coverage will only protect others who are injured in an accident in which you were at fault. Imagine you were seriously injured due to another’s negligence. If they did not carry any insurance, or even just carried this minimum amount, it would not be enough for your damages. Fault can also be disputed in motorcycle accidents and this can further reduce the amount paid to you. 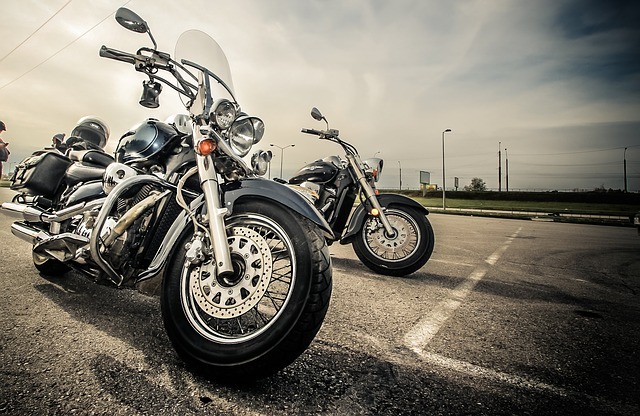 Both Kansas and Missouri require motorcyclists and all motorists to carry uninsured motorist (UM) coverage of $25,000 per person and $50,000 per accident for bodily injury. This will help some in the instance of a hit and run driver or a driver without insurance. However, again, serious injuries will require medical care far in excess of this amount. As a result, you should seriously consider including underinsured motorist (UIM) coverage in your policy, which will protect you if the at-fault driver has insufficient insurance. UIM coverage is required in Kansas in a minimum level of 25,000 per person and $50,000 per accident for bodily injury. In Missouri, UIM coverage is not required by law. Regardless, both states you should consider purchasing UM/UIM coverage at the highest level you can afford. Even though your premiums may be a little higher, it is actually not as expensive as you may think. For a fairly modest increase, you get can buy a significant amount of UM and UIM coverage that will give you peace of mind and protection from financial ruin in the event of an accident. If you have been in a motorcycle accident, or want more information about buying insurance, please contact our law firm at (816) 203-0143. We would be happy to provide you with further information and a copy of the book, Buying Car Insurance, written by our attorney. 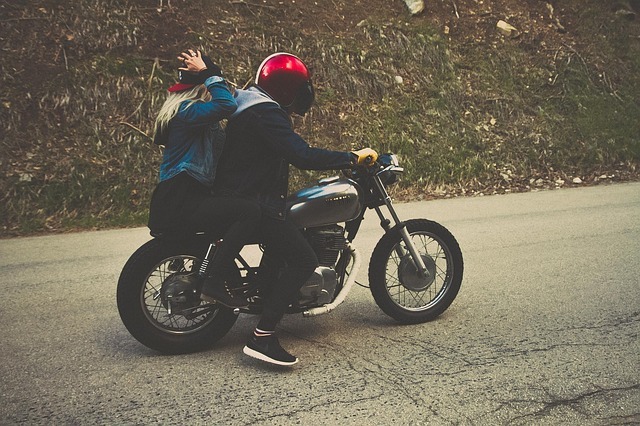 Many of the same lessons and principles apply in buying motorcycle insurance. You can also schedule a free, no obligation phone consultation by filling out the contact form below.